Follow us on our Instagram and Facebook Social Media accounts to countdown to Christmas in the best way we know how…. with WINE. 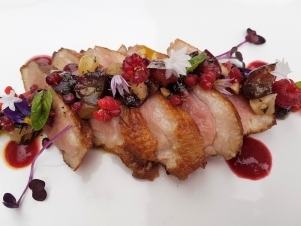 For Example; Day 3 is is the Scott Base Pinot Noir….. perfect with Spiced Duck Breast (click for recipe).